Lisa’s early career as contemporary dancer underpins her passion for flowing, spirited movement. This, combined with the introduction of Pilates into her daily practice at an early age, sparked a lifelong interest in understanding how bodies move. Lisa’s love of flowing choreography, depth of technical knowledge, empathy for the limitations of each individual and endless adaptability and creativity underpin her teaching style. Her no nonsense approach aims to clarify the mechanics of the body and communicate the fundamentals of Pilates to everyone eager to learn. As founder and Director of Lisa B Pilates Academy for Teachers, Lisa spends most of her waking hours researching, practicing, writing, creating, filming and of course her favourite thing of all – training teachers. Lisa brings over 20 years of teaching experience to Cobham Pilates and now considers it home. “Nowhere else in the world have I worked that exudes such genuine passion, support, energy, and humour”. For many years, Lisa worked as Director of Education for Europe’s biggest Pilates teacher training organisation, Body Control Pilates, creating and delivering a wide variety of matwork and equipment courses as well as co-authoring the highly acclaimed ’Pilates Bible’. 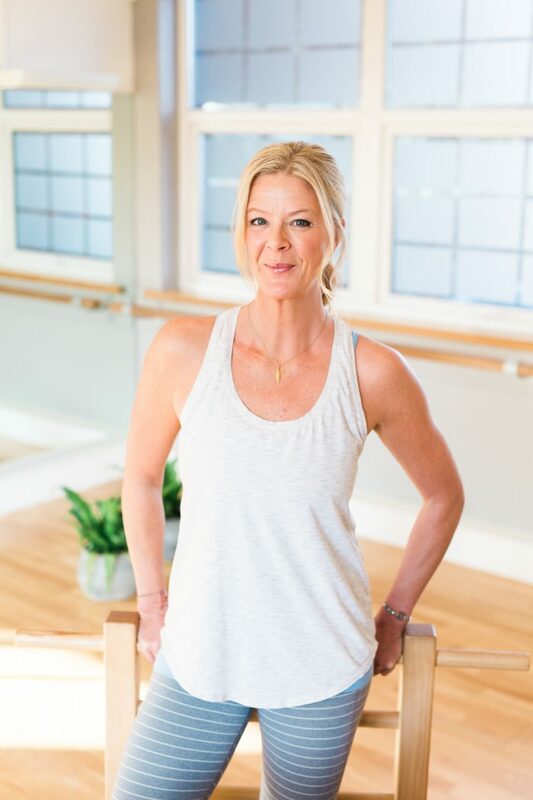 Most recently her love of dynamic and challenging work has led her to incorporate the latest thinking in fitness training with the precision of Pilates to develop her very own course, HIP Pilates® – High Intensity Power Pilates.